If you’re starting a new temporary building or are working in an area that you know will be busy and messy, then it’s important to first set the foundation and make use of what’s known as a bog mat. Although the name might sound a bit strange, bog mats are actually a very common tool to use when you need to create a temporary structure, such as an access road to accommodate long pipeline construction projects or even a small platform to be used for an outdoor event or concert. Bog mats are created from thick beams of timber that are joined together to form something similar to a raft and are commonly used in a variety of different construction applications, but they’re also fantastic for supporting temporary buildings and structures due to their portable and flexible nature. Bog mats are incredibly sturdy, meaning they’re a durable and simple solution to adding another layer to use as a foundation or to protect the ground that’s underneath it. They can be used to stabilise ground that could be rocky or uneven, which is particularly useful if you’re trying to create an access route for vehicles. Since they can be easily moved around, they’re a great portable solution that can fit your needs no matter how strict your specifications are. In addition, they come in various different thicknesses which allow you to be more flexible with how you use the bog mats. 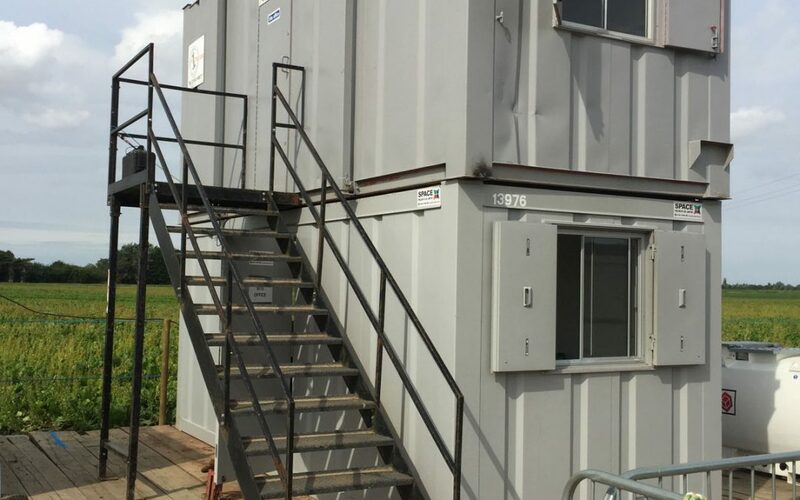 How does the bog mat support temporary buildings? Bog mats can help create temporary spaces with ease. Bog mats are lightweight and easily stored, meaning you can carry them around to create temporary spaces (such as for events or concerts) and easily move them when you’re done. Bog mats can protect the area that you’re using. Since you can quickly place down your bog mats anywhere, you can protect areas that you’d otherwise be damaging with your temporary buildings. You can simply lay down some bog mats and anything underneath it will be protected so you have a clean working environment. Bog mats are inexpensive ways to create longer roads. Bog mats are often used to create temporary roadways which are especially useful when accommodating pipeline construction projects that could stretch on for a long time on uneven terrain. With bog mats, you can bring larger vehicles like excavators with minimal effort. Bog mats come in various sizes for your specific needs. Lastly, bog mats come in various thicknesses to support different weights. Thicker beams are best for heavy construction equipment and lighter ones are best for portable uses. What is a hardwood bogmat / crane mat?